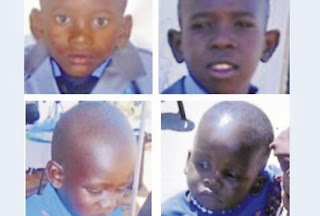 Four children aged 13,10,6,4 has been killed by their own father in South Africa. The thirty six (36) year-old man named Polokwane and his wife were "not on good terms", Colonel Ronel Otto said. 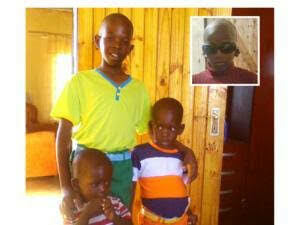 On Friday morning he picked them up and drove to Gauteng to see his wife. "He came back last night [Saturday] and [allegedly] with a knife, slits the throats of his four children, all boys and attempted to commit suicide," Otto said. Report has it that Polokwane is in stable condition in a hospital and will appear in court on charges of murder as soon as he was well enough.